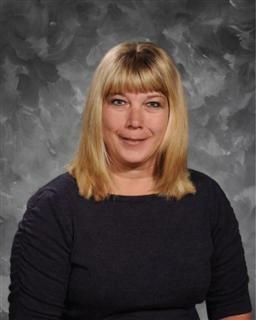 Debbie Miller has worked for Wadsworth City Schools for 23 years in capacities ranging from the secretary to the assistant superintendent and transportation supervisor, to the secretary to the superintendent. She has always been involved with transportation in some way, and is presently the Transportation Supervisor, a position she has held since 1999. Ms. Miller has overseen growth within her department. When she began, the district had 15 school bus and 2 vehicle routes. The district presently has 27 school bus and 6 vehicle routes, transporting over 2,100 students, 1,700 miles per day. Under her watch, district drivers have had nearly 1,700 days without a chargeable accident. Ms. Miller has been a member of OAPT for 20 years, and serves as the OAPT liaison to the State Road-E-O Committee; she also serves as the Treasurer for that group. As the North Regional Director, she assists school districts in a 10-county area with 147 supervisors. She has served on the Ohio Department of Education Transportation Safety Committee, and she is a member of the Ohio Association for School Business Officials, as well as the National Association for Pupil Transportation. Additionally, Ms. Miller is involved in the planning of the annual inservice for school bus drivers, and monthly meetings for transportation supervisors through the Medina County ESC. A 1984 graduate of Wadsworth High School, she resides in Wadsworth with her fiancee Terry. She is the mother of Melissa and Jordan, both of whom attend the University of Akron.